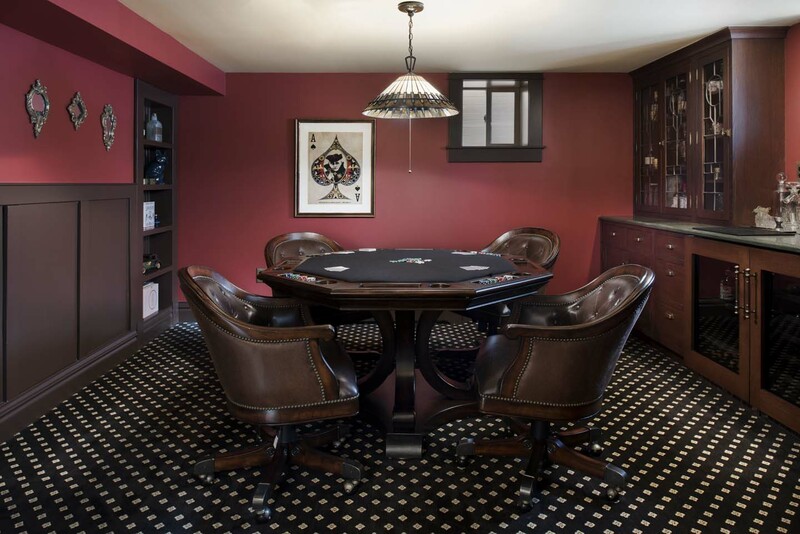 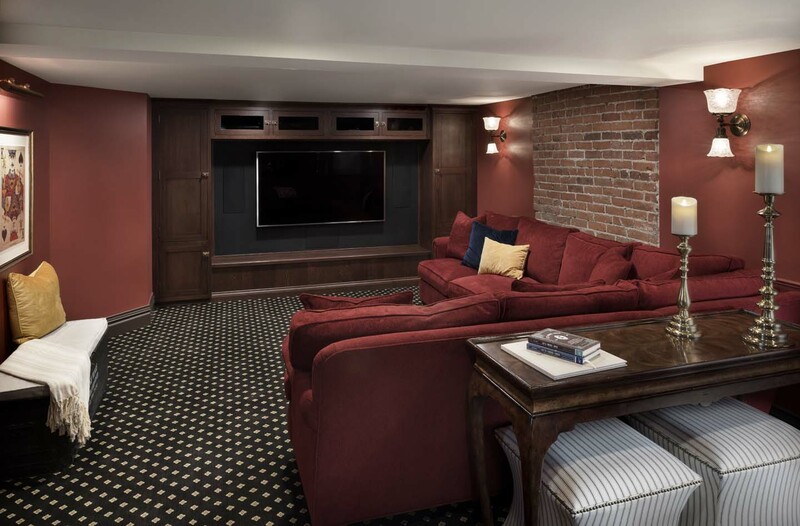 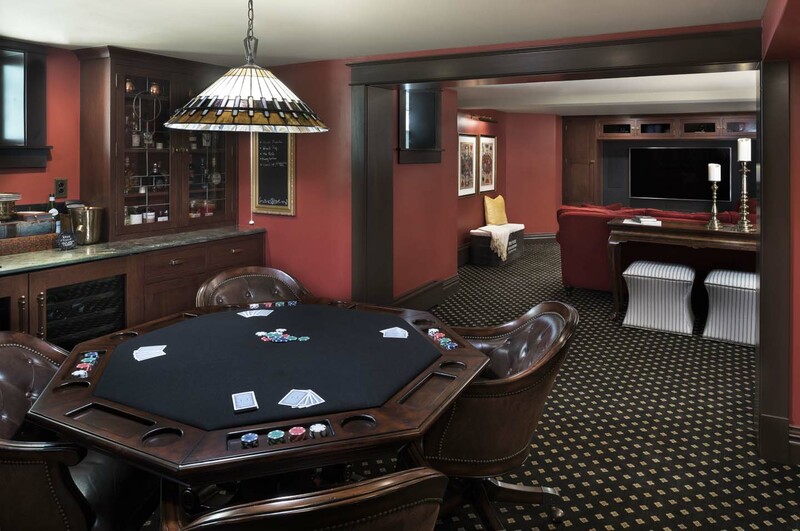 From the game room featuring a bar and secret passageways to the cozy family room, perfect for watching movies, this space is a grown-up’s playground. 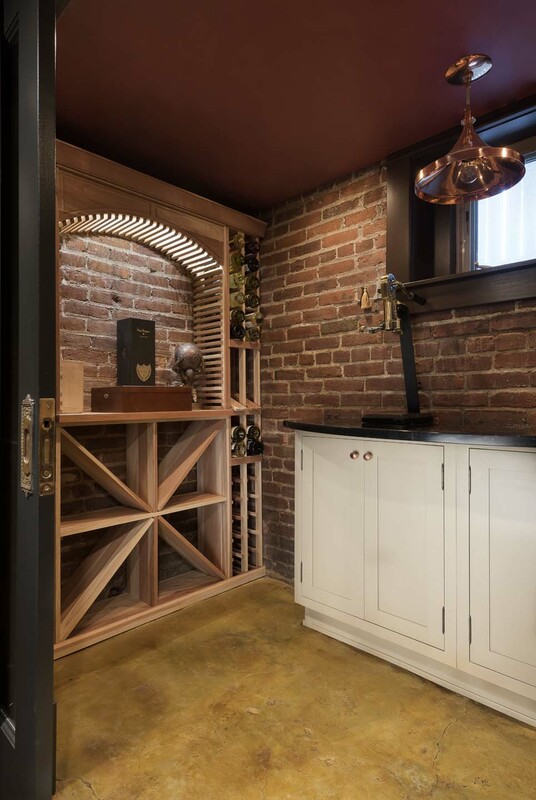 The wine cellar is temperature-controlled and has rustic details including exposed brick and stained concrete flooring. 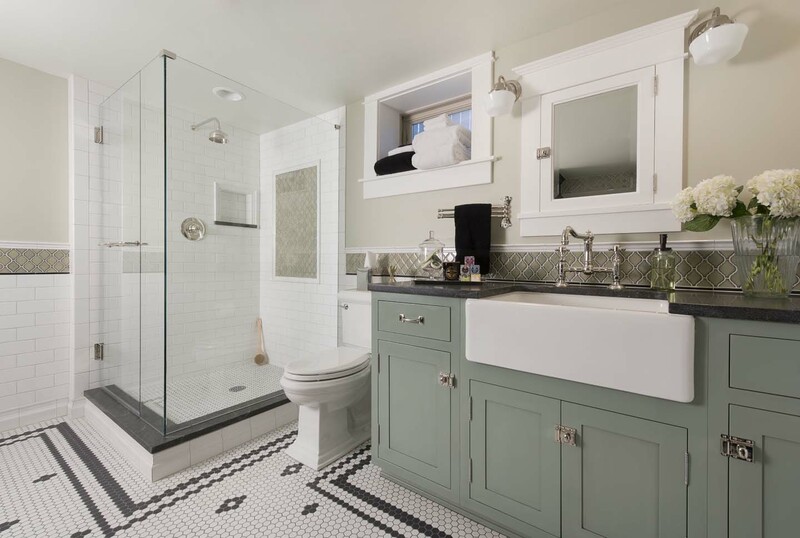 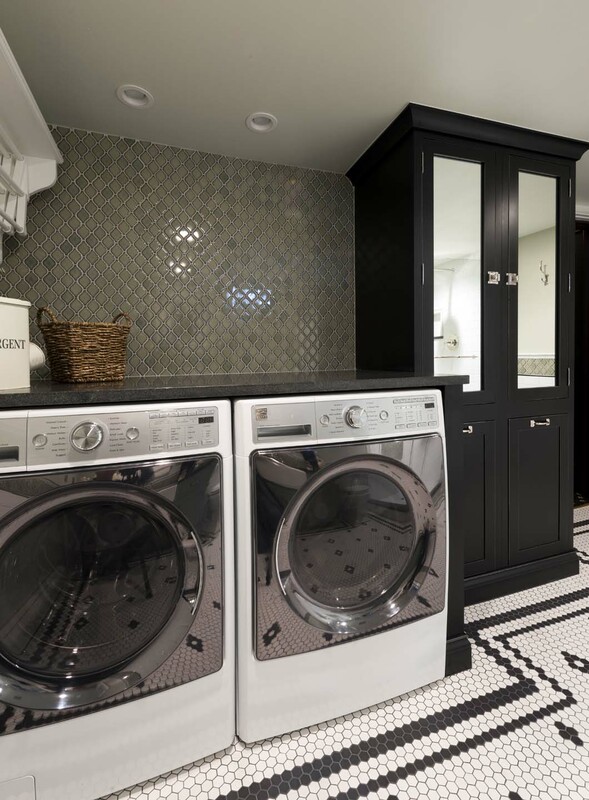 The light and bright bathroom and laundry room is in contrast with the rest of the basement and is a lovely space to refresh and relax.